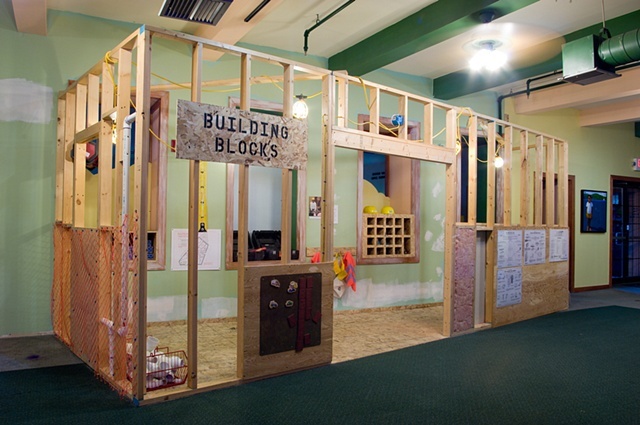 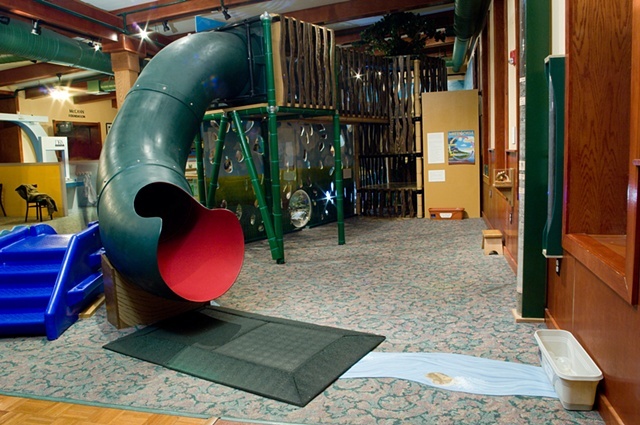 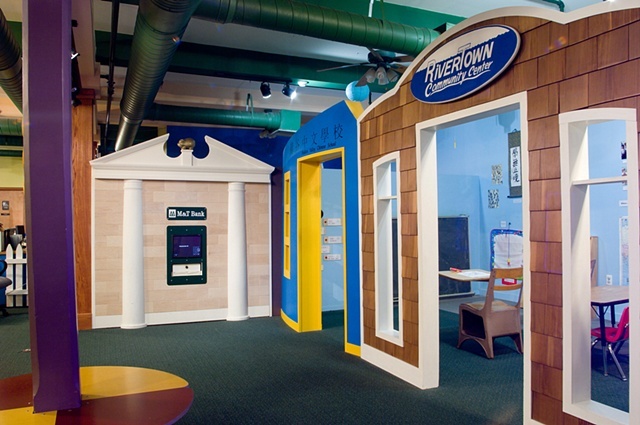 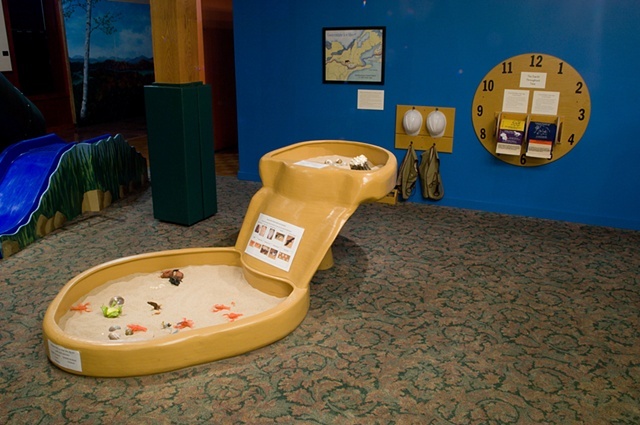 These exhibits were both created for the Mid-Hudson Children's Museum in Poughkeepsie, New York. 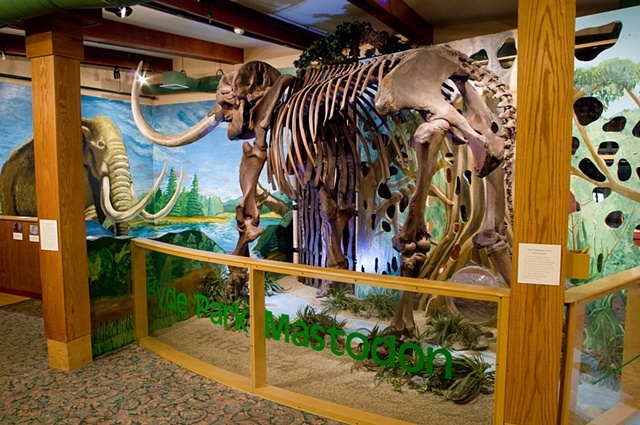 The Hyde Park Mastodon exhibit is based on an actual mastodon skeleton found in Hyde Park, New York in 1999. 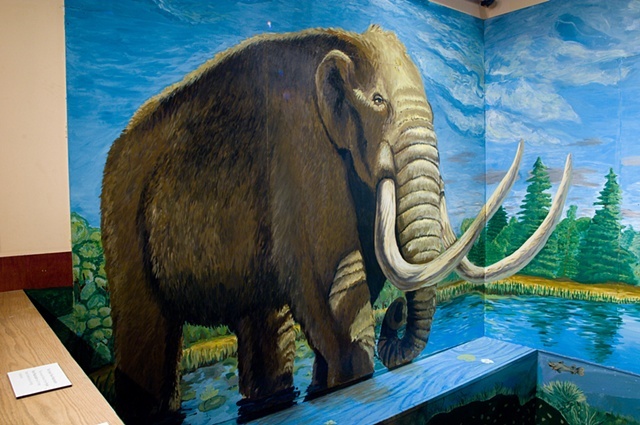 The exhibit includes several murals, the replica of the Hyde Park Mastodon, a crawl structure, dig pit, microscope table, and timelines showing the history of the planet. 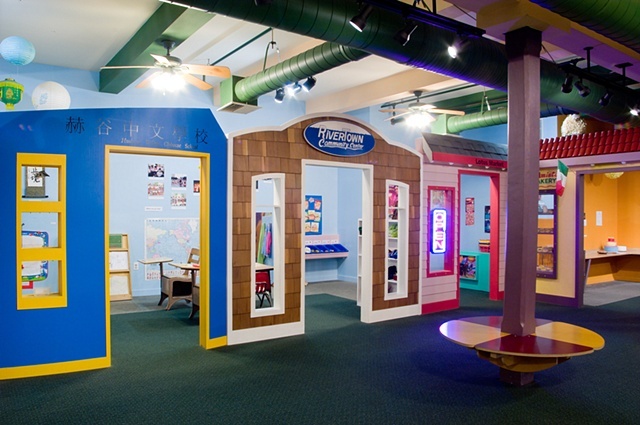 The Rivertown exhibit is based on the small towns lining the Hudson River and represents the cultural diversity of the people living in those communitites. 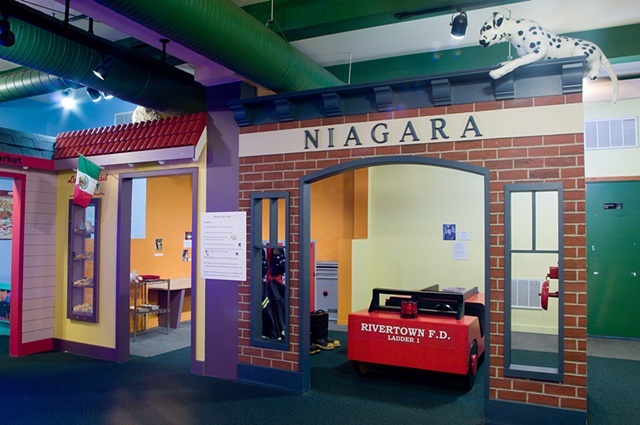 Rivertown includes a fire station, community center, Mexican bakery, Indian grocery store, Chinese language center and a construction site. 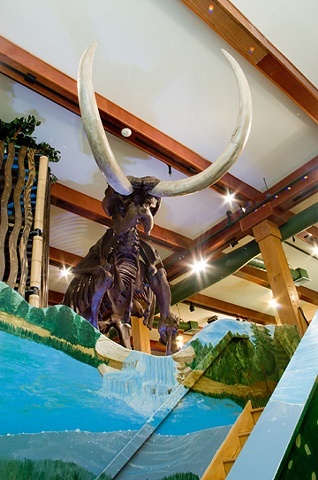 It was collabratively designed and built with Jeep Johnson. 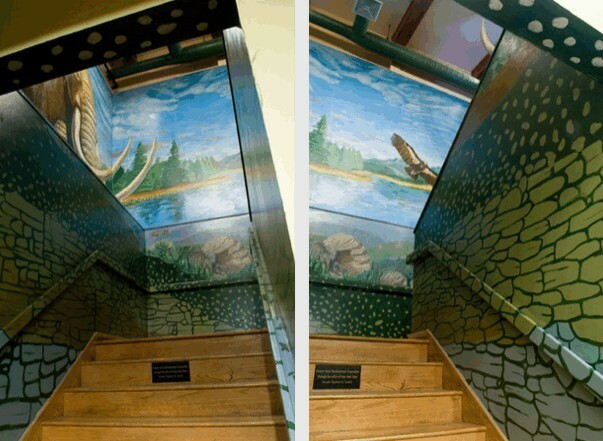 More photographs of either project are available upon request.